Malapa (Afrique du Sud) : Handier than Homo habilis? 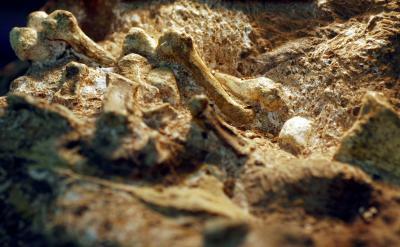 The researchers reconstructed the Au. sediba hand, then compared it with other hominin fossils and investigated the presence of several features that have been associated with human-like precision grip and the ability to make stone tools. They found that Au. sediba has many of these features, including a relatively long thumb compared to the fingers – longer than even that of modern humans – that would facilitate thumb-to-finger precision grips. Importantly, Au. 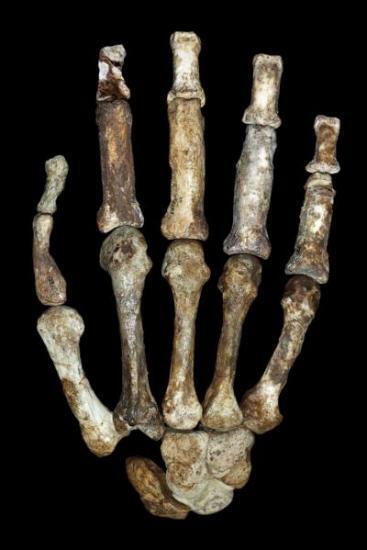 sediba has more features related to tool-making than the 1.75-million-year-old "OH 7 hand" that was used to originally define the "handy man" species, Homo habilis. However, Au. sediba also retains morphology that suggests the hand was still capable of powerful flexion needed for climbing in trees.